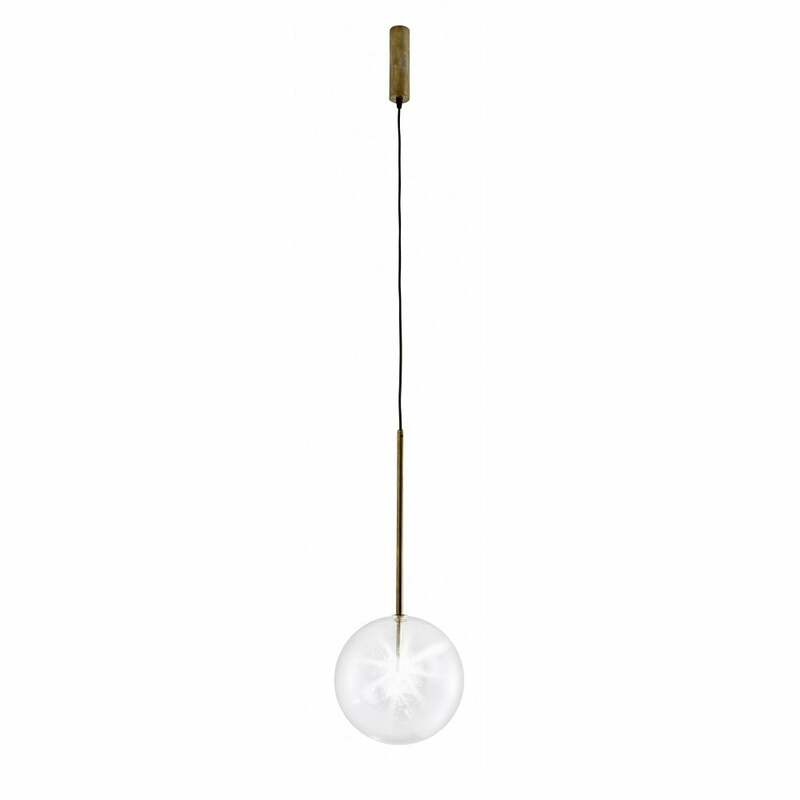 Stunningly simple and contemporary pendant light which looks lovely solo or in a group. Designed by Massimo Castagna with a transparent blown glass sphere housing a 20 watt halogen light, with metal in hand burnished brass. The hand burnished brass finish looks naturally spotted and irregular. Due to this craft made processing, each product is unique and exclusive. Discounts available in multiple item orders. Priced here for the standard dimmable halogen version, LED non dimmable versions are also available at a surcharge. Please contact us for current stock levels. Single pendant with individual ceiling plate. Transparent blown glass sphere. Metal parts in hand burnished brass.